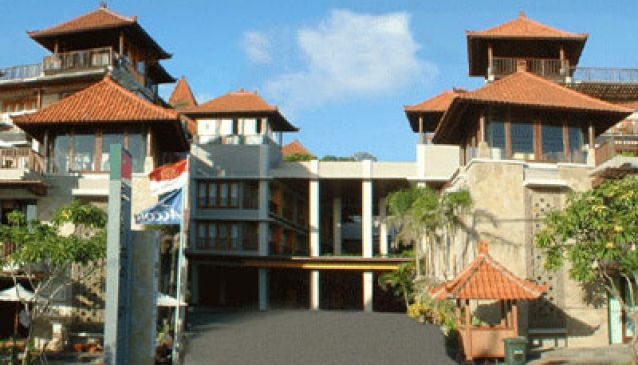 Mercure Kuta Bali is situated in the centre of Kuta, the most popular beach in South Bali, and is close to fantastic dining, entertainment and shopping centres. The hotel has 130 spacious rooms in minimalist style, as well as two bars, a great restaurant, a roof-top swimming pool, massage facilities and a jacuzzi. Guest car parking is free, and the hotel offers a meeting room catering for up to 60 people. Kuta is a surfers' paradise, and a location for great night life and entertainment. Close by Mercure Kuta is Hard Rock Cafe Bali. Other famous names such as Legian, Poppies Lane, Kamasutra, Waterbom Aquatic Park Bali and Discovery Mall - Kartika Plaza are within walking distance. A unique place to stay in Bali as it is the only hotel with a rooftop swimming pool and a roof top Spa which features spectacular views of stunning the Kuta Sunsets.